Our family recently traveled to Hongkong and we're not on a Tour Package, so I decided to avail Klook's Discounted Offer and make our own itinerary. While searching online for activities to include, I found Klook Travel Guide. Actually, Klook is new to me, at first I was hesitant to book online but after reading positive reviews that came from "real users" I confidently purchased via credit card. 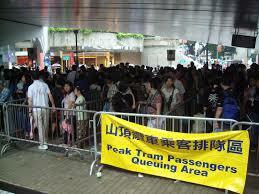 I was sold at their exclusive promotion on "Peak Tram Fast Track Combo" (The Peak 4 in 1 Combo) Fast Track. The Queue Jump or Special Line entry was a big relief, queuing usually takes 1 hour or more but Klook's tickets grant us VIP access and we marched straight to the front! We met Klook's Guide at Central MTR Station Exit K. The guide gave our Peak Tram Tickets and we walk altogether to Peak Tram Terminus. Reminder: Make sure to strictly follow your time slot. Arrive 15 minutes before meeting time. We arrived 20 minutes late and the guide no longer accept us to join on their next schedule. However, the Guide in charge was very accommodating with our concerns and even helped me re-arranged my itinerary. I asked him to please let us use this day for this activity because rescheduling means we have to move our other activities. Sadly, they follow strict time schedule, so we just have to request to re-sched and make sure that we arrive on time. The Guide was kind enough to suggest the best time to get as I laid down my plans for the days to come. The Guide suggested to take the 12pm sched and have the Ocean Park tour right after we finished the activities at the Peak. The much awaited Tram Ride! 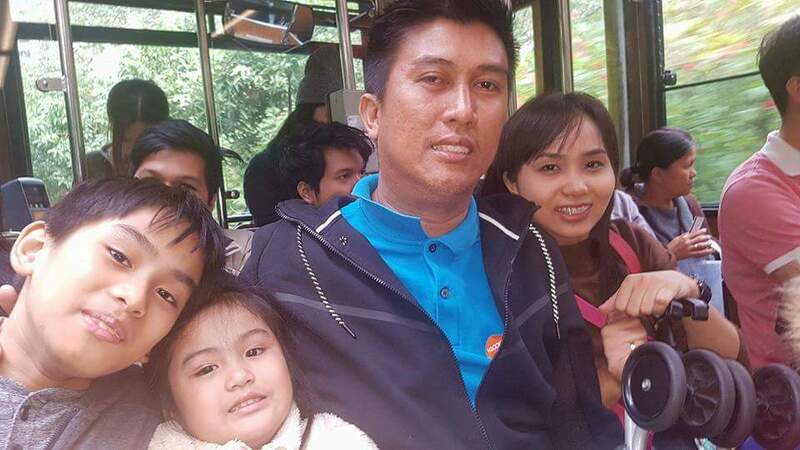 At the top of the Peak, the guide gave us our attraction tickets and let us enjoy the rest of our visit on our own time. 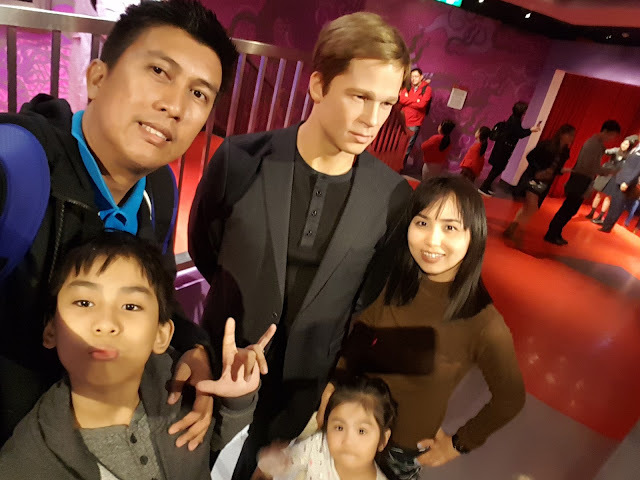 Here's some of our photos as we met the stars in life like wax work! 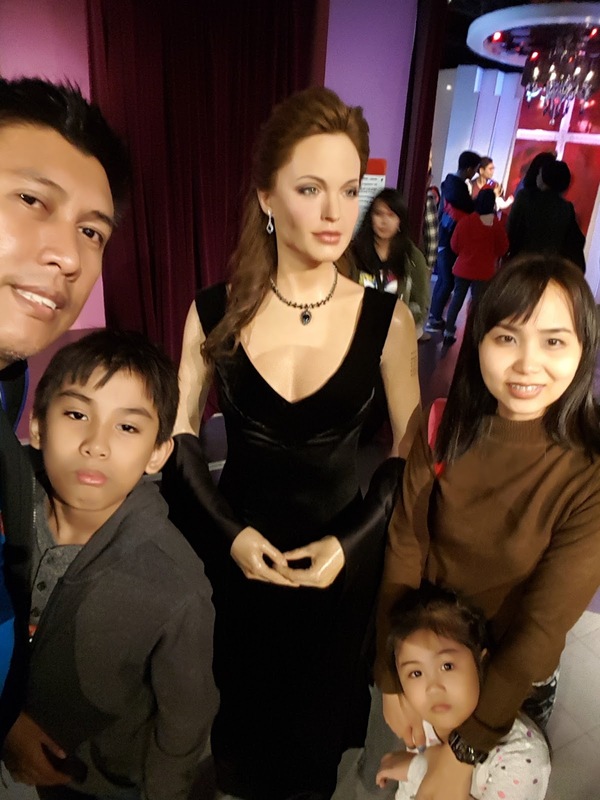 After Madame Tussauds, we were supposed to use the tickets for Trick Eye 3D Museum and Sky Terrace 428, but we were told by my husband's side of the family (btw, we were 4 families traveled together) not to use it anymore because it's 3PM already and we should be heading to Ocean Park instead. If I were to ask, I will choose to use those remaining tickets for the two attractions. Why? we paid for it, and I think an hour spent with these attractions would not hurt our visit to Ocean Park. Yep, nandun na, so sana tinuloy na lang. Tsk! Husband comforts me saying "Don't worry, babalik tayo ulit dito" (Duh? talaga? hahaha). Oh well, medyo pumalpak ang itenerary... mahirap ang may kahintayan kasi if you're with a big group. Anyway, a big thanks to Klook for the Discounted Tickets especially the VIP access. I suggest you check Klook's website to find itinerary inspiration and get discounted offers. You can also download Klook's App to conveniently book your travel experiences on the go. How to use e-voucher? Just show on mobile or printout. I am soooo looking forward to our next booking with Klook on our future travel plans. You should too! 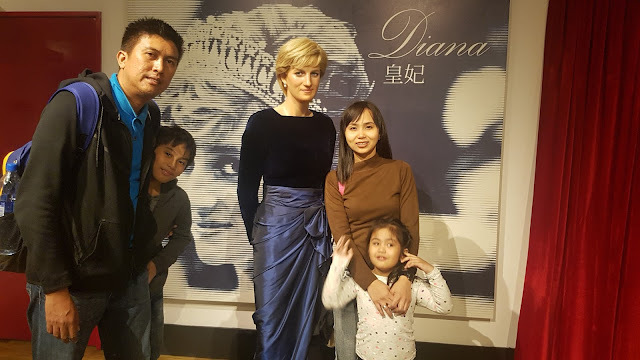 We visited The Peak too and during our visit we are not in a travel package. We took the mtr and bought tickets at the tram station. Thank God the queue was not that long. There's a volume of tourists but not really over.. maybe because it was a weekday..
Yep, we visited last Christmas season kasi, so as expected, jam packed! My SIL who didn't get Klook's promo waited in line for almost 2hours. Yay! 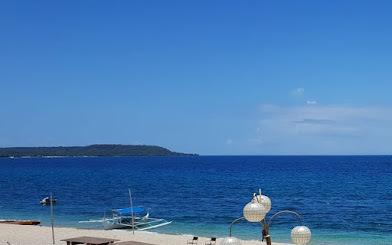 Really easier if you go there on your own as a family lang.I experienced traveling with other people and it could waste both's time plus, you like and prioritize different things so they would like to go one place but you'd rather go to another. :) The time really matters for tours. Haha We don't often go with them because we have toddlers and it's difficult to predict the kid's mood when traveling. I have been eyeing Klook too for our Osaka trip in April. The booking site is highly recommended by travellers to Japan. Will take note of this when we decide to visit Hongkong soon. Thanks for the tips. Haven't been to HongKong but heard great things from friends. Kids will truly enjoy dw talaga. Will keep Klook in mind for when we can finally travel. Ang hirap talaga if marami kasama. Hahaha! I don't like the idea that someone might be waiting for me or I wanna go somewhere and they don't want to go there. I was wondering, are the rates above per person or is that your group already? haist,kaya ayaw ko sumali sa tour, kasi nakakapressure ang time, haha. 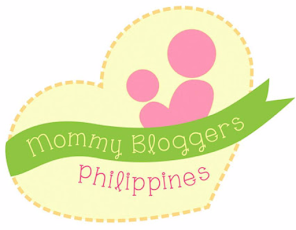 I want to DIY travel cause when you've got kids, mahirap to keep up with time. But it looks like you still enjoyed your trip. So good for you! We weren't on tour, but still have to keep up with my time schedule on my diy itinerary. Wow I didn't know the Peak Tram lines reach that length! That's a good tip. Klook travel is for itinerary only or can you book flights and hotels din? At least you were able to skip that long line! It's so hard lining up especially with young kids. Keeping up with the time schedule really is a must in other countries. They're so strict with it, noh? I'ts the first time I've heard of Klook Travel Guide.I'll try using it the next time we travel. Klook app is really a life saver since my DIY itinerary doesn't always turn up good as expected. Traveling can be so convenient these days coz there's so many options to use in booking tours and stuff. It's my first time to hear of Klook though. 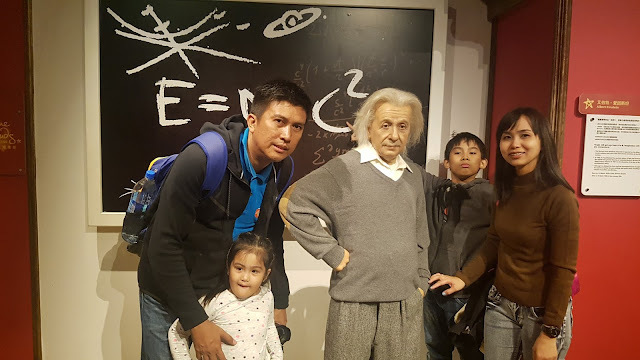 Ang galing nyo lang talaga sumunod itinerary! Never nangyari samin to. Lagi may di nasusunod. We're planning a trip to HK this year to visit my auntie. I will keep in mind the things you share on this blog. 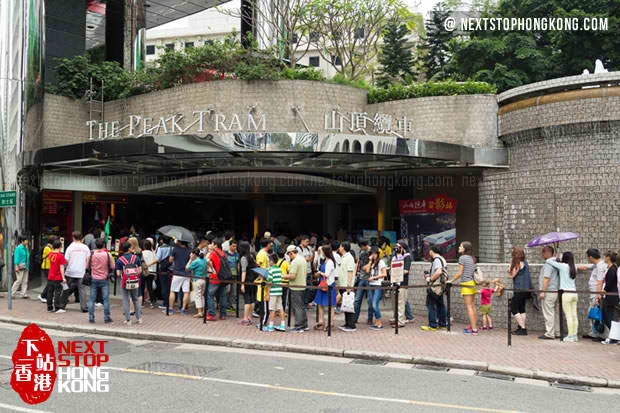 Too bad you weren't able to use your tickets for the Trick Eye 3D Museum and Sky Terrace 428, but it's good that you had VIP pass to avoid the long lines for the Peak Tram. I'll take a mental note of your suggestion to be on time so as not to miss wonderful opportunities when we travel to Hongkong. Thanks! First time to read about Klook. We were planning to go to Peak Tram but changed our mind. Buti nalang I read your post kasi I hate waiting din! This is just so timely. 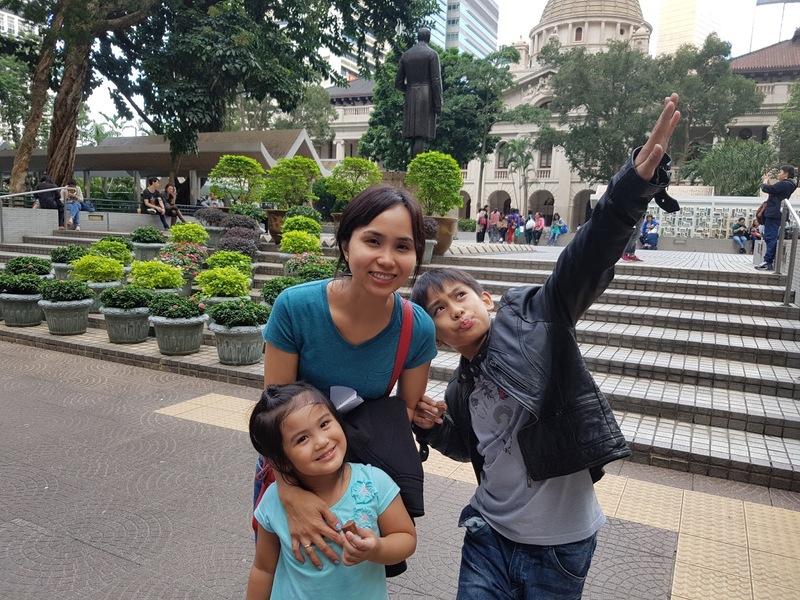 We are going to a family tour in Hong Kong after the schooling of the boys this school year. And this makes me doubly excited. Will certainly check on the app. Thanks. I have never heard of this site before but it sure looks promising. Nothing beats convenience and VIP treatments when you are out traveling. Long lines are just a pet peeve, especially when you are traveling with children. I haven't been to Hong Kong, but I will make sure to check this app out when we do plan for our travel there.